If you have multiple email accounts hosted by Gmail or Google Apps, why not make life easier by combining them into one. Here is how. First, log into your Gmail account. Note – Although I will be demonstrating the process of sending Google Apps email to Gmail, the process can be reverse if desired. 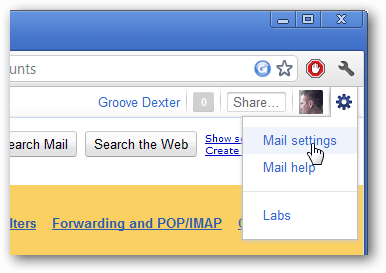 Click the gear icon at the top left of the page and select Mail Settings. On the settings page click the Account and Import tab then click Add another email address you own. 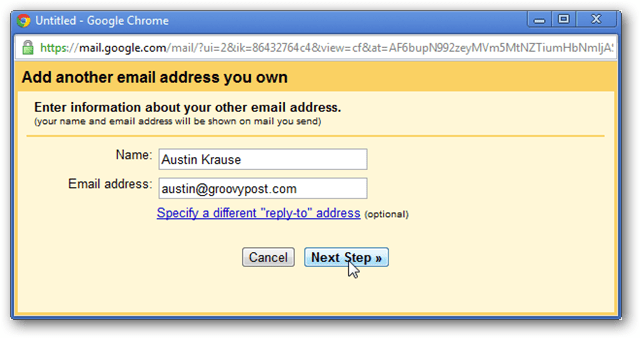 Enter your name and the Google Apps address you want to unify with your Gmail account. Click Next Step when done. 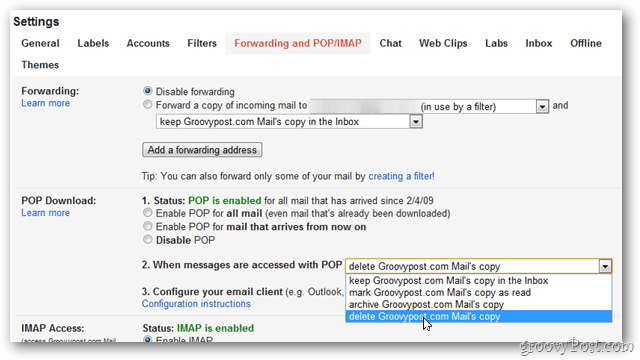 Keep the default setting on this page – Send through Gmail and Click Next Step. Click Send Verification. This step verifies that you are the actual owner of the new email address. Now you will be at the verification page. You can close this screen. At this point you need to log into your Google Apps account. Do not log out of your current account though. Log into both accounts at once using Chrome Incognito or Firefox Multifox Add-on. In your Google Apps email you will see a message from the Gmail Team titled Gmail Confirmation. Open it and click the confirmation link. A confirmation screen will appear once you click the link your email address is confirmed. Log out of this Googla Apps account now. Back in your Gmail account, under the Accounts and Import tab under Settings, ensure the radio button Reply from the same address the message was sent to is selected. This will ensure there is no confusion when replying to emails sent to either account. 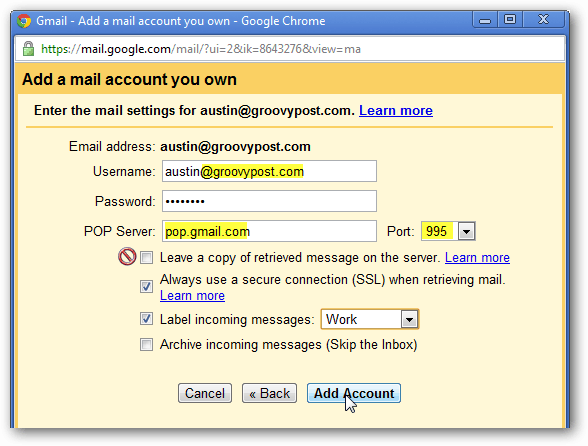 Now setup the Gmail account to receive email from your Google Apps account. Click Add POP3 Email Account. 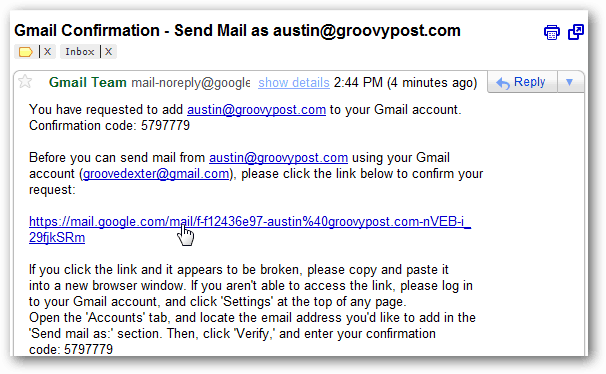 Type in your Google Apps email address and click Next Step. Username: Type in your full Google Apps email address. Password: The correct password for this account. Port: Set it to 995. Optional – You can label incoming messages to make it easier to know which account is receiving messages. Note: The option to Leave a copy of retrieved messages on the server does not work. It also does not affect your other account. Once you have everything set up, click Add Account. Editor Note: I recommend following the step above by leaving a copy of the email on the server vs. having the email deleted once its downloaded via POP. If however you would like to change this behavior, do so under the source accounts Forwarding and POP/IMAP settings as shows below. You can Keep the email in the inbox, Mark it read, archive it (recommended setting) or delete it. The account should be listed under the Pop3 settings as displayed below. The initial mail checking process takes up to 15 minutes to finish however this depends on the size of your inbox being downloaded. With everything configured, email from both accounts will now be delivered to your single Gmail account. When sending a new email from Gmail, click the change link to select which email address to send the email From.